This game is easy to play once you know what to do which is what I am going to explain in this guide. First of all, I'm going to talk about the boosters (given within the mission, not by money). I'm a free user so I don't use any real money on any game. 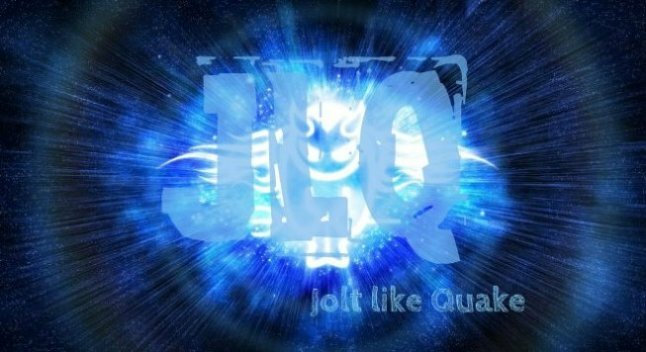 - It will clear the whole column regardless what blocks/ obstacles/ booster. If booster was cleared in its path, the booster effect will be immediately activated. - Very useful booster wherer it is capable of clearing everything one block away including obstacle block. 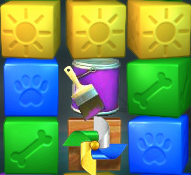 - You can paint 4 blocks of any colors in linear motion to the color of your paint bucket. - It will produce multiplier as well. - Very useful in games of clearing 100% and also points missions. 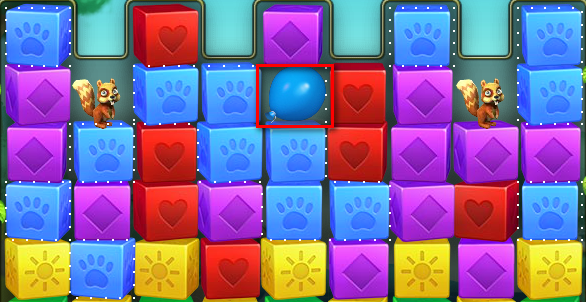 - It is balloon where it will clear all the similar color blocks to the balloon. 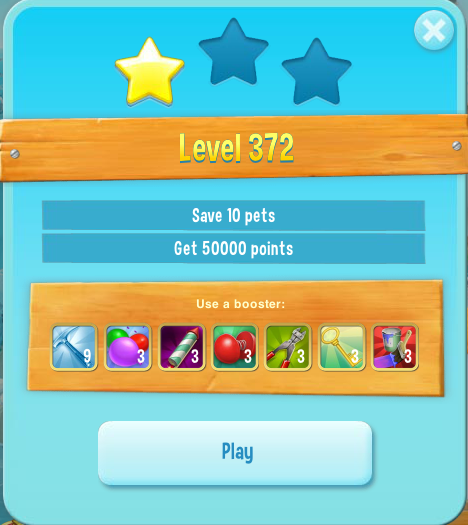 - You will get similar points to popping them up individually so in game where points matter, it is better to clear blocks with multiplier than rely on color pop. 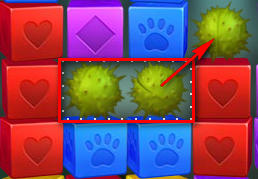 - Line blaster will clear the whole row. - It would be best to aim row that caused unmatched block. - This blaster will rotate clockwise every time you move. - So, you need to plan the timing ahead. - Capable of clearing both rows and columns. 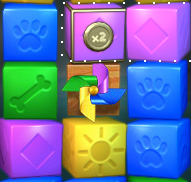 - Pinwheel will have 4 colors signifying 4 blocks around it. - In the above scenario, if you use it, you will clear the purple multiplier on top together with its matches, yellow on bottom, green on the left and blue on the right together with its matches. 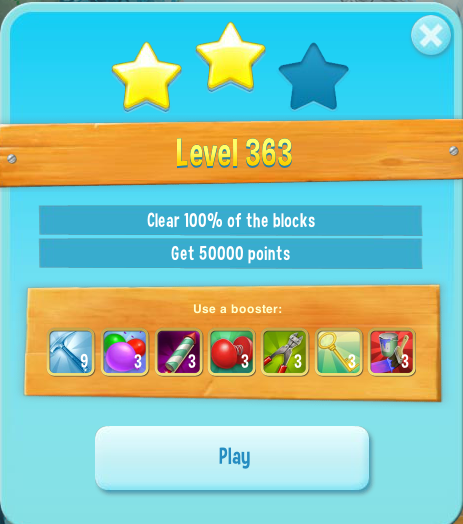 - It is like clicking the blocks so its matches would cleared together. 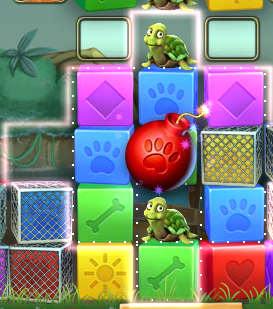 - It is capable to clearing blocks but not obstacles. 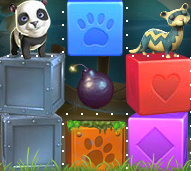 - It is useful in games where there is only one of that specific color block obstacle where you cannot clear the block by matching it because there will be no match. - It is also move saving because it is like click 4 times if the surrounding 4 blocks have their respective matches. - A stronger version of bomb where it explodes two blocks away. - Can be cleared using bomb, line blaster or blaster. - This virus can be cleared as per the highlighted box above. - Every move you made, it will spread diagonally as per arrow shown above. 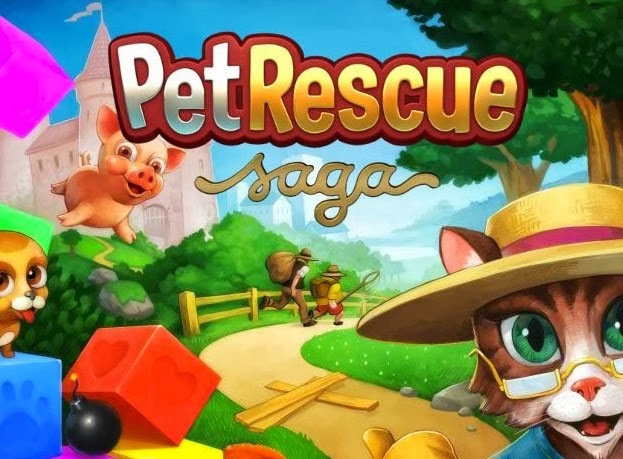 The game mostly is about saving pets just like its name.